Thursday night, the Indianapolis Colts went to Houston to play the Texans and they won, securing their place at the top of AFC South, a division that most fans would agree is the worst (ever?). One of the heroes of the victory was their 40-year-old quarterback Matt Hasselbeck, who has now led the Colts to two straight victories since Andrew Luck injured his shoulder. 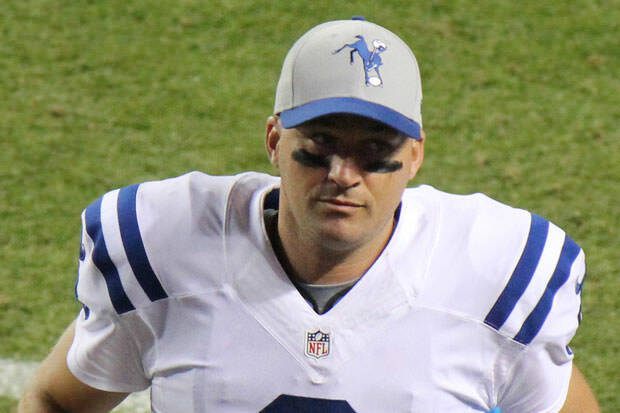 We’re not saying Hasselbeck played like an MVP or anything like that. In fact, his 213 yards and 2 TD passes are nothing to write home about. Still, he threw no interceptions, played a safe game like the experienced QB that he is and, what is most important, he gave the Colts another win. One thing that might and should worry Colts fans is that their 40-yearl old second-string quarterback is playing better than their starting quarterback in the first 4 games of the season. While Luck had 493 yards, 3 TD and 5 interceptions in the first two game, Hasselbeck had 495 yards, 5 TD and 0 interceptions in his two games. Moreover, their free-agent acquisitions Andre Johnson and Frank Gore have only just started doing their thing and everyone wonders if they will continue. In short, the Colts are winning and they are at the top of their division, but does that mean anything?